Alright, I have always had a love of construction. I love watching a highrise building go up. I also have a passion for photography and have now combined the two. 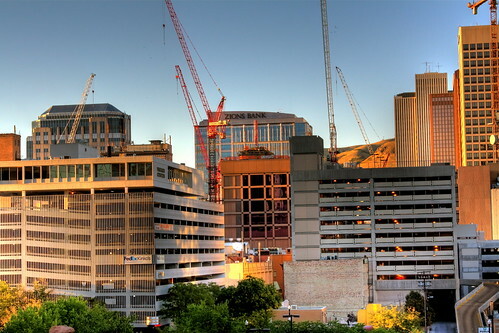 I have been photographing Salt Lake City and its surroundings as this city continues to grow. The largest project in the area is the City Creek Center which is redeveloping 2 city blocks. Those familiar with Salt Lake City know that our city blocks are very large. I will continue to post photos that I take and keep people updated as to what is taking place here in beautiful Salt Lake City.